Located in Via Bettolo N. 6, less than 10 min walking from the Vatican Museums and from St Peter's Basilica, Arches B&B is easy to get to either by bus (bus stop round the corner in Via della Giuliana) and metro (Metro A, Ottaviano station 5 min walking, Cipro-Musei Vaticani 10 min walking). The main city tourist attractions are a stone's throw away from the bed and breakfast. 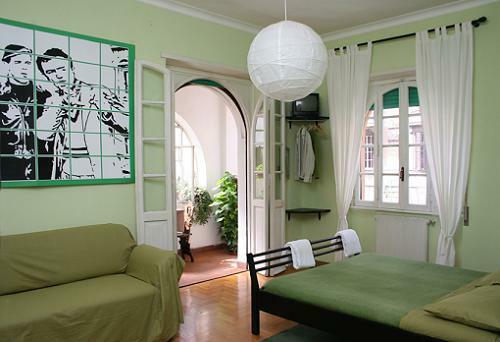 This is why it is the ideal accommodation for those who want to hang about in the Eternal City, either for studying, business, holiday, etc.). 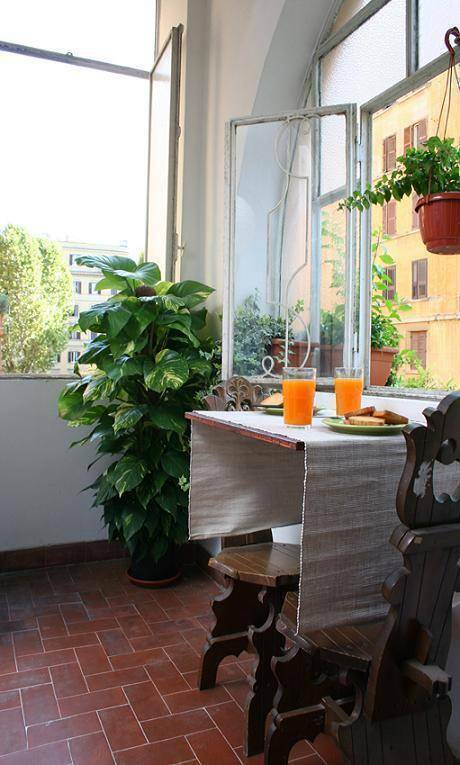 Sited in an early 20th century building , the b&b è is finely furnished and decorated, the rooms are large and comfortable (about 29 square yards possibly among the largest in the center of Rome), the rates are reasonable and convenient. Two of the bed & breakfast rooms (Blue/Green) have hardwood floors and also feature a bright beautiful veranda enriched with plants and flowers, table and chairs where you can relax, and eventually enjoy your breakfast. 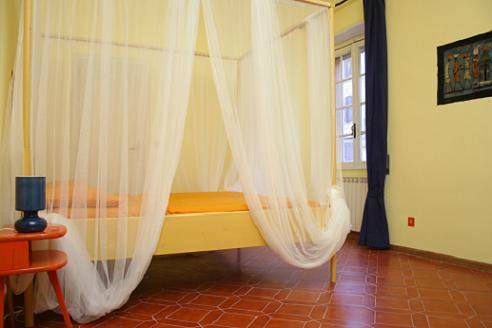 The b&b is the ideal accommodation for those willing to visit Rome and feel at home. Here past and present blend together. This suggestive area "Prati", developed between the Vatican City St. Peter's and St. Angelo Castle , offers all the typical amenities that distinguish Rome and her inhabitants handcrafts shops still survive nested in the little streets beside the main one. Furthermore the facilities of a modern city (banks, public transports, internet point, shopping centers, supermarkets, car rentals, post offices, news agent, music megastores), One of the largest typical groceries open air market in Rome is just across the road, the hostaria dell’ Angelo (the most traditional roman cousine) right outside the front door. The real Italian bars and cafes where residents take their breaks every day ( take a glimpse at them from your veranda ). With public transport or by walking you can easily get to the historical center and most of places of artistic interest of the city; St. Peter's Square, the Vatican, St. Angelo Castle, the Vatican Museums and the Sistine Chapel including Trastevere, The Pantheon and the Coliseum.